- Click on ‘DVD Disc’ icon, ‘DVD Folder’ icon, or ‘DVD IFO/ISO’ icon to load your source files. 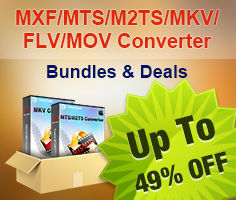 - Select the movie title you want to convert, and preview the file you just selected from the DVD movie in the preview window if you want. 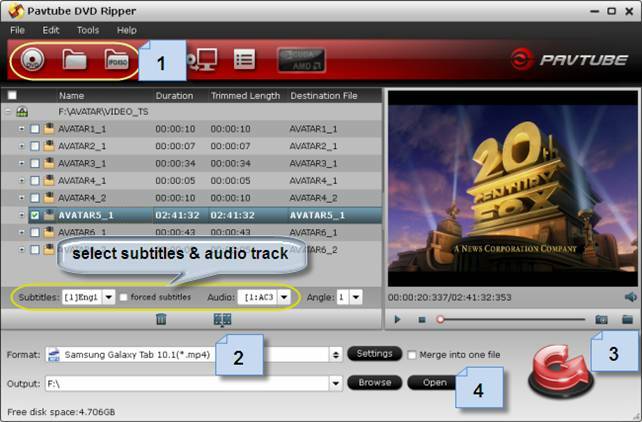 - Select wanted subtitles and audio track if necessary. 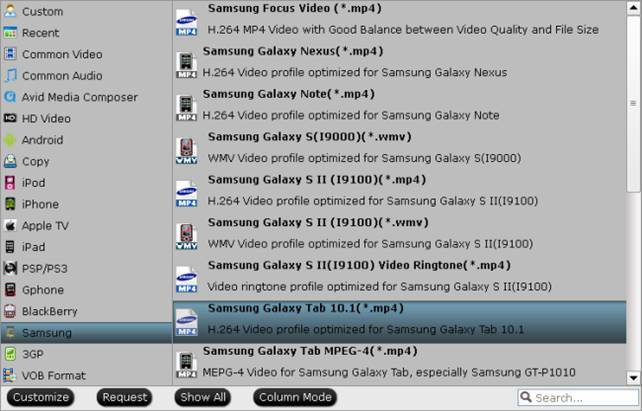 Click on ‘Format’ menu to choose ‘Samsung Galaxy Tab 10.1 (*.mp4)’ as output format from ‘Samsung’ preset option.